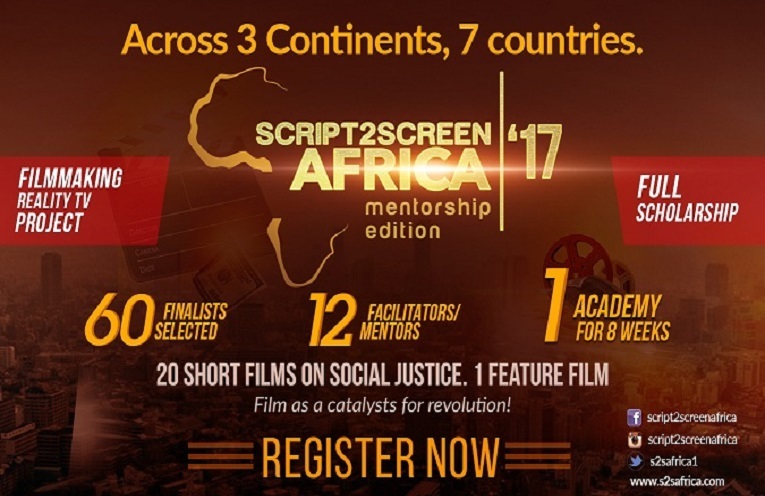 High Definition Film Academy has unveiled its sixth edition of its reality TV show ”Script2screenAfrica2017”,with the theme “Film as a catalyst for revolution!”. The reality TV show is scheduled to hold from July 1st to August 26, 2017, will host 60 Finalists, 12 Star actors and trail blazing filmmakers as mentors, 20 Short films on Social Justice, and climax with a premiere of the short films at the 2017 Script2ScreenAfrica Awards. The yearly intensive Hands on filmmaking and Acting training, involving three stages: Training, Short Film Competition, and Awards. 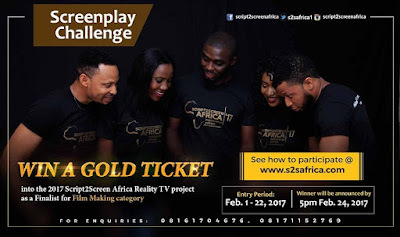 Interested talents are also invited to Win a GOLD TICKET into the Script2ScreenAfrica House as a finalists, without going the registration and audition stages, by participating in one of the CHALLENGES, viz:MONOLOGUE Challenge, SCREENPLAY challenge, and 1 MINUTE FILMChallenge, guidelines are available on the script2screenAfrica website.